We understand you need your asset back on the road as soon as possible. This is why we have fully stocked service vehicles manned by highly trained and certified technicians 24/7 to perform the majority of our onsite service. 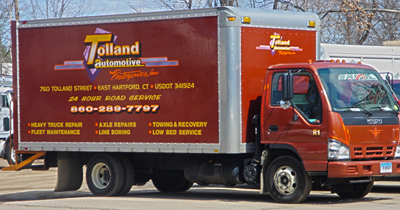 Whether it's brake lines, hydraulic lines, electrical issues or welding, we'll get your asset fixed while on the road. Additionally, we offer commercial towing, roadside assistance, and repair of passenger vehicles to individuals and national motor clubs.